July 11, 2018. 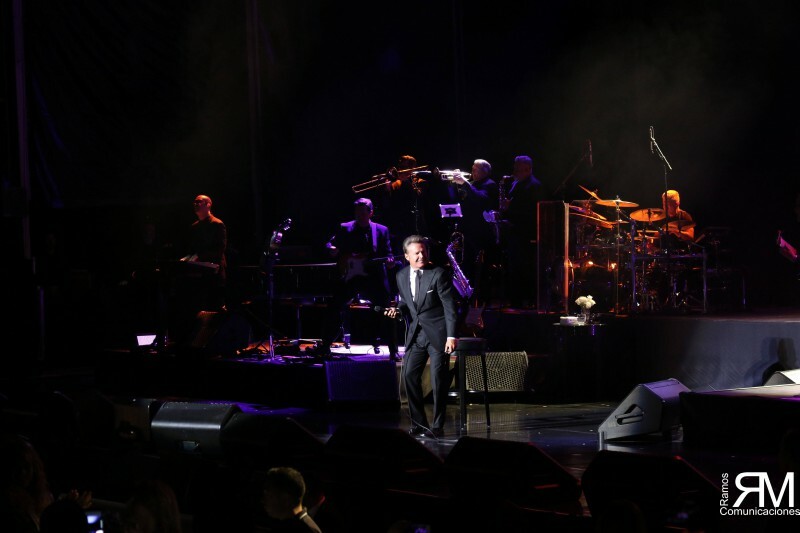 - Starlite Marbella began its seventh edition with the most iconic Latin artist of all time, Luis Miguel, who visited the Festival for the first time with his show "¡México por siempre!" And hung the poster of sold out tickets! The first concert of the season had a large number of well-known personalities who did not want to miss the opportunity to see the Mexican star. The seventh edition of Starlite Marbella has started great, with the concert of the iconic Mexican singer Luis Miguel, who has been the first to hang the sold out poster after six years without playing live. The artist's show served to kick off a Festival that will concentrate 45 days of concerts at the highest international level. The bet of the organizers of Starlite, with Sandra García-Sanjuán at the helm, is to maintain an already established event of reference in the whole world, and for that, they bet to inaugurate the poster with one of the biggest stars of music Latin America, Luis Miguel. "The hallmark of Starlite is the closeness to the artists, who are our DNA: they are on stage, among the public, dancing, having dinner or having a drink. In addition, they themselves have become our best ambassadors. Starlite is an experience, passion, inspiration, emotions ... It is definitely a meeting point ", said Sandra García-Sanjuán, founder and executive president of Starlite Festival. Even the most well-known faces were the actress and influencer Paula Echevarría, accompanied by her boyfriend, the soccer player Miguel Torres; Carmen Martínez-Bordiú, surprisingly by the hand of a new companion; Margarita Vargas and Luis Alfonso de Borbón; Javier Conde and Estrella Morente with their sister Soleá; Enrique Ponce and Paloma Cuevas; Niña Pastori and her husband, El Chaboli; the presenter Mariló Montero, as well as the singers Nuria Fergó, Miguel Poveda and El Arrebato, among others. None wanted to miss the luxury of enjoying Luis Miguel live. The Mexican artist, so revered by his audience and nicknamed El Sol, visited the Starlite auditorium for the first time, as he waited anxiously to see his idol on stage to enjoy his show ¡Mexico por siempre! A two-hour concert that began with the song "Anxiety of listening to your voice", says the lyrics of Si te vas, and which was followed by others known as Under the table, Until you forget me or If they leave us. The singer, who encouraged the audience "to do a beautiful duet tonight," thanked his devoted audience for "the love of this wonderful land of Spain." Luis Miguel, who has captivated more than a generation by combining rancheras and pop with the ballads, he deployed in Starlite all his weapons of seduction, like the great star that he is. So she confessed that her "kisses remained in you" (Love, love, love) or that she needs it "like the air I breathe, like a trace on the road, like the sea with salt" (I need you) ... a reflective tone, El Sol, took advantage of the magic of the surroundings of Starlite to delight the audience with songs like You're Forgotten and With You in the distance. But it had a blow of prepared effect, when it was accompanied on stage by a mariachi, with which it displayed its virtuosity at the hands of La Fiesta del mariachi, Llamarada, La Bikina or the heartfelt ballad. Let's not argue. And finally, Luis Miguel reviewed great successes of a lifetime on stage as Beach Balls or When the sun warms. An excited singer said goodbye to his audience throwing white roses as a token of appreciation to the audience. Like every night, Starlite continues the party after the concert in the lounge area, where many of the concert attendees gathered, dancing to the music of the DJs programmed for the whole festival and who will accompany the attendees during the 45 days that Starlite Festival lasts.